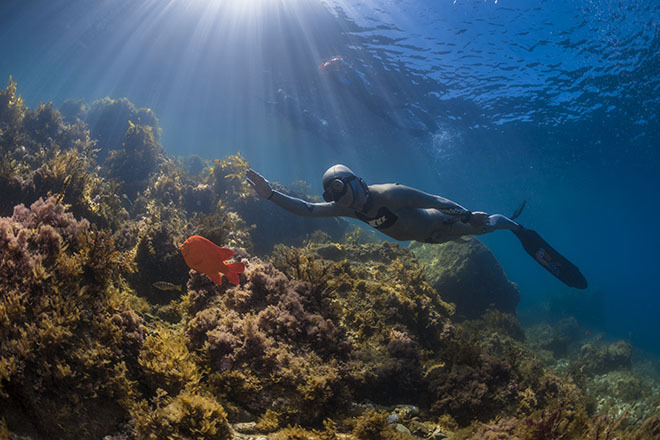 How is Freediving different from snorkelling? Snorkelling is the casual act of putting on a mask and snorkel and looking below while floating. Snorkelers may not have any training and spend most of the time on the surface. Skin diving takes snorkelling a step further by adding short dives underwater. 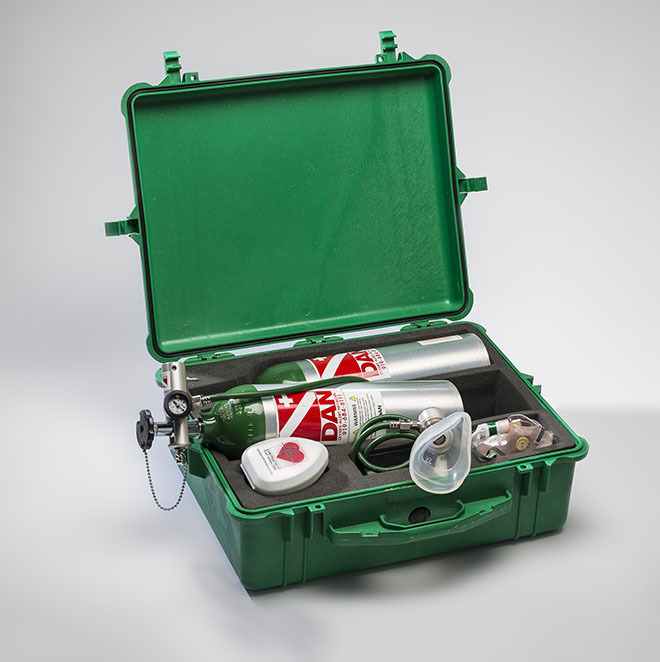 Skin divers may have training that teaches skills, such as efficient dives and snorkel clearing. Freediving uses advanced breathing techniques and diving skills to increase depth and time underwater. 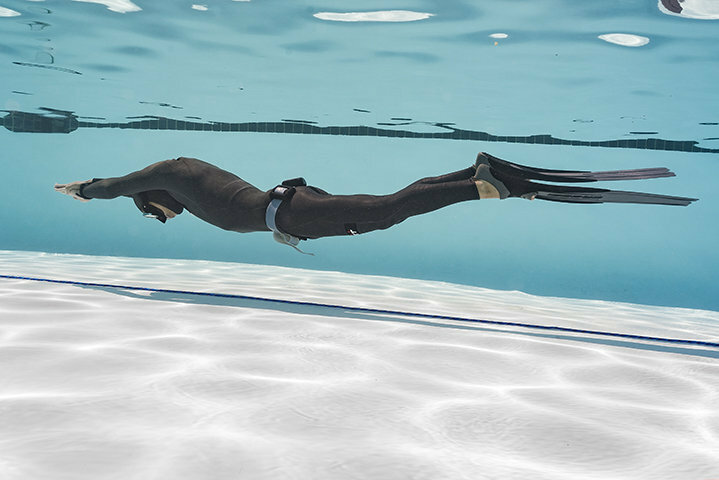 Through training, freedivers learn to conserve oxygen while breathholding while practising different freediving disciplines, such as static apnea, dynamic apnea, free immersion and constant weight freedives. The PADI Freediver course contains three phases – knowledge development, confined water sessions and open water sessions. During knowledge development, you learn about how your body reacts to breathholding and how water pressure affects you as you dive down. You also learn about freediving equipment, important safety rules and buddy procedures. The PADI Freediver course is flexible and performance based, which means that your PADI dive shop and PADI Freediver Instructor can offer a wide variety of schedules, organised according to how fast you progress. Knowledge development is handled through independent study with the PADI Freediver Touch – an interactive tablet-based app. You pace yourself as you work through each topic, then complete an overall Knowledge Review, then an Exam. There are at least three water sessions that we scheduled on separate two days. During confined and open water sessions, your PADI Freediver Instructor will focus on helping you become a confident and comfortable freediver, not on how long it takes. You earn your certification based on demonstrating you know what you need to know and can do what you need to do. This means that you progress at your own pace – faster or slower depending upon the time you need – to become a competent freediver. What are the requirements for learning to freedive? PADI Basic Freediver certification. PADI Basic Freediver is a subset program on the PADI Freediver course that only includes knowledge development and a confined water session. 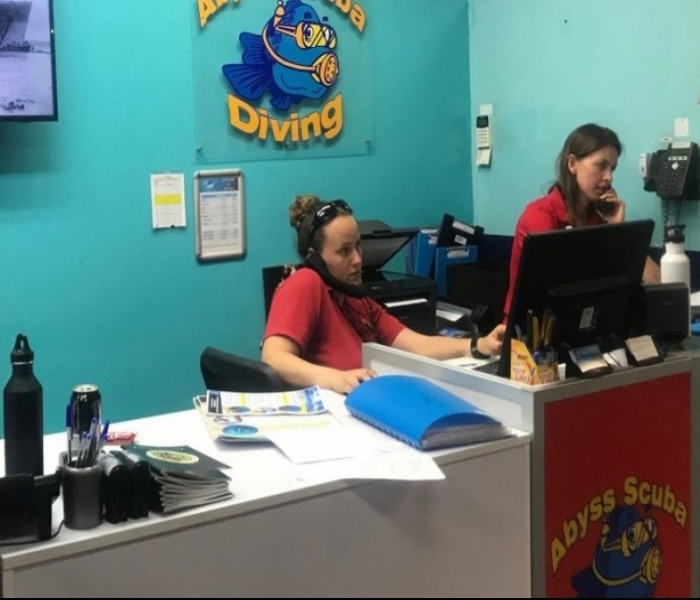 All student divers complete a medical history form that asks about medical conditions that could be a problem while freediving. If none of these apply, sign the form and you’re ready to start. If any of these apply to you, your doctor must, as a safety precaution, assess the condition as it relates to freediving and sign a medical form that confirms you’re fit to dive. In some areas, local laws require all students to consult with a physician before entering the course. Download the PADI Freediver Medical History Form. 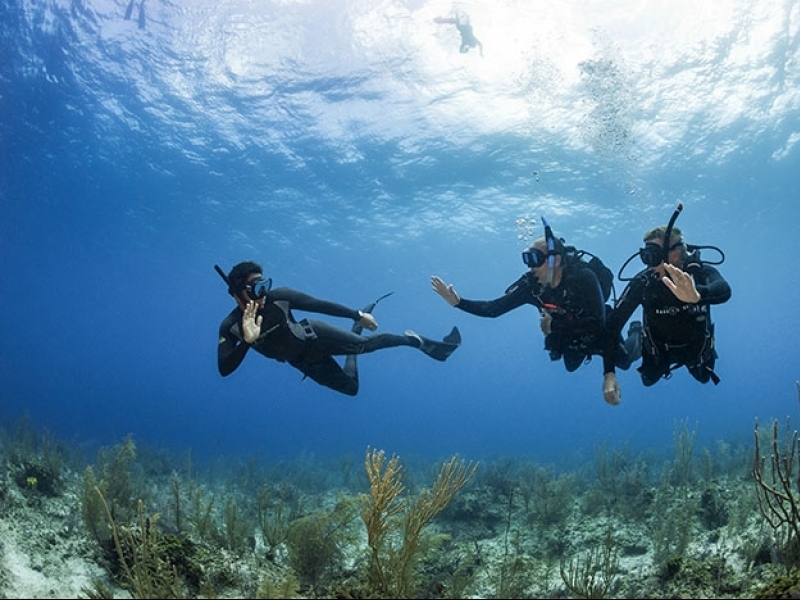 Your PADI Freediver Instructor will have you demonstrate basic water skills to be sure you’re comfortable in the water. This is a 200-metre swim or 300-metre swim using a mask, fins and snorkel without stopping. There is no time limit for this, and you may use any swimming strokes you want. Any individual who can meet the performance requirements of the course qualifies for certification. What are the different PADI freediver certification levels? PADI Freediver course – Develops the knowledge and skills for basic static apnea, dynamic apnea, free immersion and constant weight freediving from 10-16 metres. When completing open water training is not feasible or desirable, students complete just the knowledge and confined water skill portion of the PADI Freediver course (6 metres maximum) to earn the PADI Basic Freediver rating. How much do Freediving lessons cost? Check out our course prices. What are the most common injuries or sickness associated with Freediving? Sunburn, seasickness and dehydration, all of which are preventable, are the most common problems freedivers face. Injuries caused by not equalising ears do occur, but these can be avoided by using proper technique and returning to the surface if your ears are not equalising easily. I am currently certified as a freediver through another organisation. How can I become a PADI Freediver? As a freediver certified through another training organisation, you can enrol in the next higher level in the PADI Freediver system after a skills and knowledge assessment by a PADI Freediver Instructor. The level you can enrol into depends on your current certification. Check with Abyss Freediving (02 95839662) to confirm your rating.